If you read my blog, you probably know that I am ever so slightly obsessed with the musings of Smitten Kitchen. 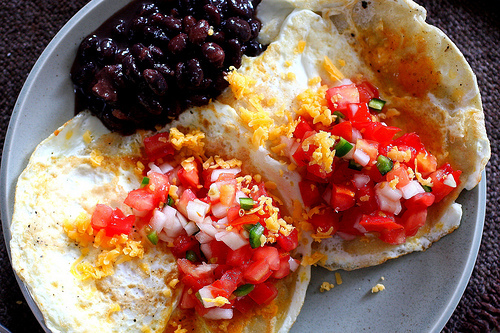 I literally die over every single one of her recipes and the Huevos Rancheros are no exception. As a California transplant, I have been craving mexican food ever since I set foot in Beantown and as somewhat of a connoisseur, tex-mex just.doesn't.cut.it. I want the real stuff and I soon realized that the only way to get the real stuff was to make it myself so that I did. The Huz and I gorged our little bellies on Huevos Rancheros all weekend and it was fantastic. 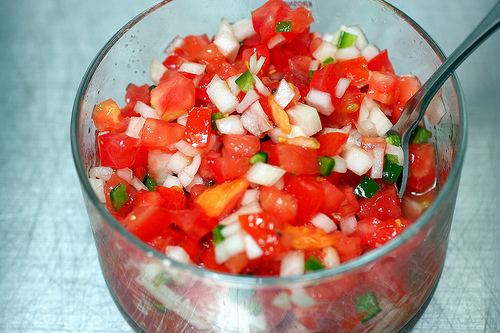 Get the recipe here and for the love of all that is holy, please oh please don't use salsa in a jar. Make it yourself! I promise you,it is soooo much better that way. Looks amazing... I am *so* trying this on Saturday morning. Thanks! Try Anna's Taqueria in Porter Square. I also found myself a California transplant living in Beantown and deprived of Mexican food. Anna's was the only place I found that serves tacos al carbon, as well as big, yummy burritos. When I head to Boston for a visit, I still go. Ole in Inman Square is also tasty, but a little pricey and fancy. nicely done. that looks SOOO good. I'm totally enamored with Smitten Kitchen's recipes and photos too! 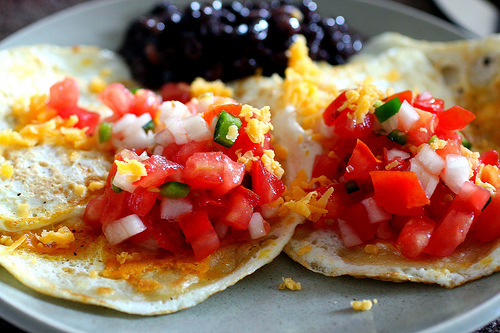 These look delicious and are making me crave something Mexican too... I might just have to borrow this recipe! Ugh. I'm having exactly the same huevos craving in Seattle. I want that!